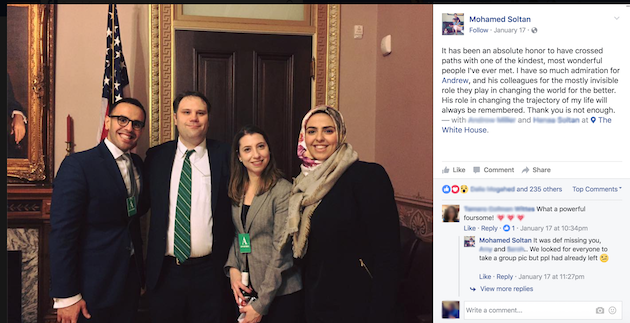 The son of a Muslim Brotherhood official who was imprisoned in Egypt until mid-2015 visited the White House earlier this week, according to photos posted on social media. Mohamed Soltan is an American citizen who served as the unofficial spokesperson for a Muslim Brotherhood-affiliated protest movement that sought to reinstate Mohamed Morsi following his ouster in 2013. Soltan visited the White House just days before President Barack Obama is set to vacate the presidential home. 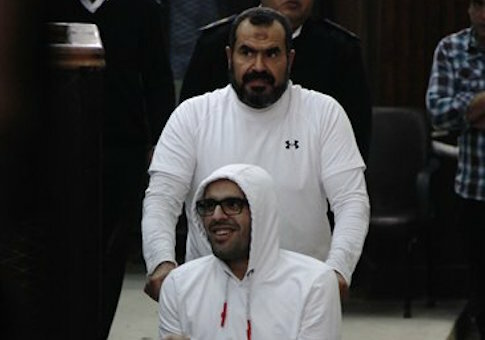 Soltan, the son of a senior Muslim Brotherhood official Salah Soltan, was sentenced to life in prison by Egyptian authorities for his role backing the Muslim Brotherhood as it carried out deadly protests following Morsi’s ouster. The younger Soltan was released from prison after a lengthy hunger strike and efforts by the Obama administration to secure his freedom. Soltan, who has been critical of the Muslim Brotherhood in the past and claims to not be an official member of the organization, thanked the Obama administration in comments accompanying the photo of him in the White House, which was posted on Facebook. The Obama administration has come under fire in the past for hosting official members of the Muslim Brotherhood, which some lawmakers in Congress have sought to designate as a terrorist organization. The Washington Free Beacon first reported in 2015 that the State Department had lied to reporters about a meeting it held with Muslim Brotherhood members. One member of that delegation, a Muslim Brotherhood-aligned judge in Egypt, posed for a picture in which he held up the Islamic group’s four-finger Rabia symbol, according to his Facebook page. This entry was posted in Issues and tagged Muslim Brotherhood, White House. Bookmark the permalink.